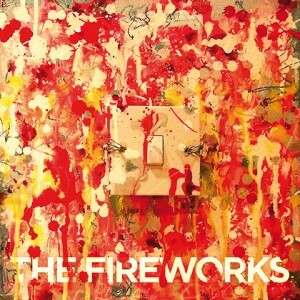 The Fireworks are a self-proclaimed loud fuzzy pop band from London who have released a bunch of material thus far, but Switch Me On marks their first trip down full-length LP lane. And it is an exciting one, filled with gritty feedback, alluring pop hooks and dueling vocals coated in reverb to pull you into this groups infectious sound. Switch Me On is an exhilarating chase at high speeds—you’re constantly trying to keep up with The Fireworks in their never-ending energy, but its one that you’re willing, and wanting, to keep pace with, as the lo-fi fuzz rock is as good as it gets. The band bursts through the door with their squalling feedback, utterly distorted guitars, popping percussion and the trading off of vocals between Emma Hall and Matthew Rimmell. “With My Heart,” is just the beginning, breaking the ice so that you can jam along with the band. The chorus is infectious, as Hall and Rimmell share the hook; their voices collide to add to the collected messiness of the sound. It’s not clean and it’s not delicate, but the ferocity gives the band the right amount of grit they need to push forward to other places. For example, “Let You Know” is the least fuzzy track on the record, and it pushes on the jangly nature of the guitars and the smooth vocals rather than the intensity of the feedback. The Fireworks aren’t a one trick pony. Halfway through, you’re refreshed with “On and On,” which is championed by Emma Hall’s vocals and a killer guitar solo at the end. Like the other songs on this album, this one is also fast and furious, streaming by in a blaze of buzzing guitars and pop hooks and its one of the best tracks on the album. As Hall chants “on and on and on…” as the title suggests, you wish her and the band would just keep on. And they do; later on you get “Corner of My Mind,” which is as close to shoe-gaze as this band gets, and the guitar riffs that cut through the feedback are sharp and crisp, grabbing you with their clarity in the fuzzy cloud of noise. It’s the little nuances such as these that vary from song to song that keep the tracks from getting too redundant or falling down the well of sound. So you reach the end of the album, and you realize just what’s happened to you: your hair has been blown back a bit, and your socks have been knocked clean off your feet, and you find it a little hard to stop shaking your hips. You’ve been switched on by The Fireworks, and the only cure is to spin Switch Me On again and accept your grunge-y, fuzz pop fate. As far as this genre goes, this is some of the best music you’ll find. Turn it up loud and get down.